Employees should feel comfortable approaching fellow workers, managers, and even the CEO. Common shared lunchrooms and meeting spaces help create an inclusive environment and put a face to every employee. People can get to know one another as people, no matter their specific role within the contact center. Instead of feeling isolated at work, agents know they are an important part of the team. Why look for another job when they have “family” right here? Some call centers also encourage agents (and other employees) to get together outside of work to further build camaraderie. Have top managers make the rounds to chat with agents, hand out cookies, thank them for a great call or an extra effort. Creating a culture of communication — where managers and employees align goals and work together to meet them — helps build a strong foundation. Employees who understand how their work contributes to the overall success of the company are far more engaged and motivated. Using a collaborative tool such as Slack or integrated instant messaging enables and encourages everyone to chat. Employees can assist one another, get fast answers to tough questions from supervisors, receive coaching, or simply cheer each other on with the occasional “way to go!” Periodic in-person meetings facilitate peer training via knowledge-sharing and offer opportunities for agents to suggest improvements or bring up problems that need fixing. Decorating the office creates a welcoming, upbeat surrounding that communicates, “This is a great place to work.” Include posters with key training or motivational messages. 3. Do Not Save the Praise! What are you saving it for? Recognizing someone’s accomplishments and saying "Thank You" goes a long way. Too many organizations wait for a big payout or large meeting to praise an employee. The longer someone has to wait for positive reinforcement, the more likely they are to assume they are not doing a great job, or that no one cares. Praising someone immediately after they do a good job or deed provides immediate positive feedback and leaves a great feeling with that employee and those around him/her. Even small successes are worth rewarding to show the importance of quality work. Therefore, it is impossible to overstate the value of simple, sincere appreciation, delivered immediately. Incentives can be highly beneficial in motivating employees. Program cost can be based on employee performance, tied to a specific desired goal. The goal might be upselling customers, resolving the most issues in the first call, etc. Make it a game that encourages friendly competition. Themed days – ugliest outfit, weirdest hairdo, any wild idea goes because customers cannot see how goofy agents may look. A Wheel of Fortune to spin to win small prizes. That could be gift cards, a prime parking spot for a day, or having a supervisor take over for the last part of someone’s shift. Spins can be earned by achieving specific results or just for random fun. All fun aside, one of the most meaningful and effective incentives we can offer our call center agents is career development. 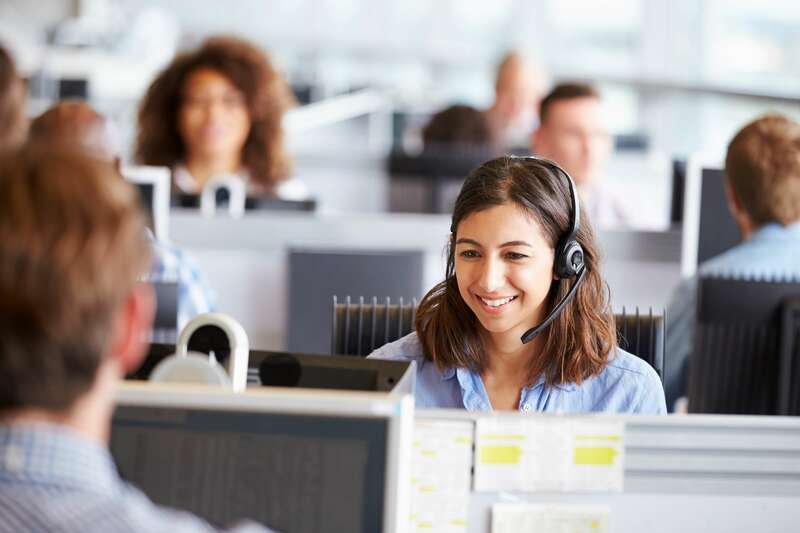 Beyond the agent-specific training they receive, we can cross-train them in other aspects of call center management and show them what the career path looks like in our organization. One tradition we follow every November here at The Connection® reflects the true nature of Thanksgiving. We give thanks for our employees by giving each of them a turkey to take home and enjoy on this special holiday. It is a tangible gift that we know our employees truly appreciate. We all know how hard it is to work as a customer service representative. Building a call center culture that is open, well-communicated, and rewarding increases engagement. These keys inspires our employees to stick around and deliver excellent customer service every day.